Welcome to 755 Broad, where boutique luxury meets contemporary convenience. Enjoy every advantage of downtown living in an elegant, pedestrian-friendly community that’s just a ten minute stroll to local shops, restaurants, and UGA’s historic North Campus. 755 Broad features a distinctive collection of one, two, and three bedroom flats with opulent finishes to reflect your uncompromising standards. 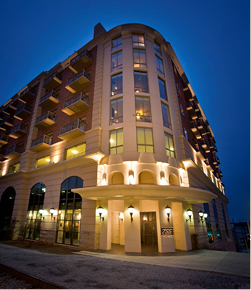 A wealth of upscale amenities will make your living experience truly special. When you have questions or need assistance, professional management and maintenance are on-site daily to ensure that every question is answered and every need is met. One thing is for certain: once you’ve experienced life as a resident at 755 Broad, you’ll never want to live anywhere else. Schedule an appointment today, and lose yourself in luxury at 755 Broad. The office will be closed on Christmas Eve, Christmas Day and New Year’s Day. We will resume normal business hours Wednesday, January 2nd, 2019.